The Femmecup is a soft reusable menstrual cup produced in UK . It is made from FDA approved medical grade silicone. 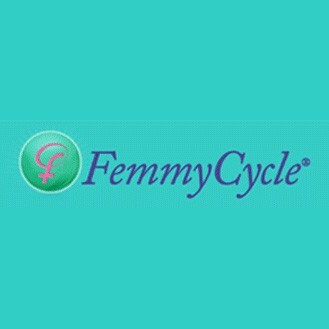 Femmecup is around 5cm in length and holds 30ml of fluid (approximately one third of your entire monthly flow). Femmecup is available in one size and can be worn by young ladies and those who have gven birth naturallu or with c- section. Femmecup comes packaged in a very simple ( 100% biodegradable plastic bag ) inside a small bag of white cotton with logo Femmecup and instructions for use in various languages . For those women who want a very soft cup, but with easy opening. Women with a light / medium menstrual flow. For women looking for a cup with a large diameter, but small and delicate in its form. Women who already use a large size from other brands and are looking for a small cup to be used during the spotting or the last days of the cycle.